Collectables and trading card company Panini locked in a new deal with esports outfit compLexity Gaming in a move that will see the two companies develop projects in the near future, including the launch of a Panini Twitch channel on Jan. 17. The companies will work to engage fans from both esports and traditional sports through original content collaborations, onsite activations, and collectible memorabilia. Complexity influencers and streamers from Madden, Fortnite, card games, and other gaming communities, will stream on the official Panini Twitch channel, alongside a dedicated monthly YouTube video, and social media posts. 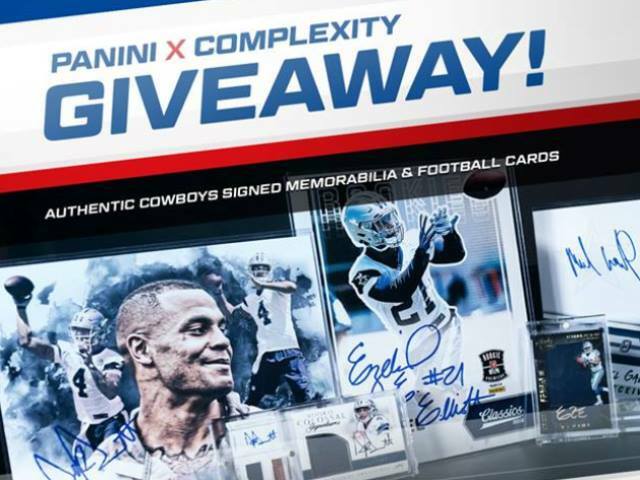 This content will feature both Panini and Complexity athletes, while hosting giveaways and executing Panini Trading Card pack openings to support Panini’s NFL, NBA, and other trading card products including its NFL Blitz and NBA Dunk digital trading card apps. In addition to creating original content, Panini and Complexity will provide live fan engagement opportunities. During fan signing sessions and meet-and-greets, Complexity gamers will sign custom cards, posters, and more that are presented and designed by Panini. The companies will also create custom trading cards for the Complexity franchise, including for players and influencers. At Complexity’s new headquarters at The Star in Frisco, TX, Panini will feature and sell this product as well as host upcoming gaming events.